With a stylish aluminum body and sturdy glass face, this Modern Wall Clock is both great-looking and durable. 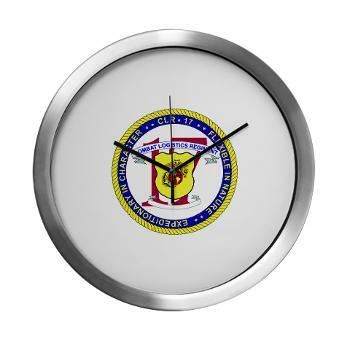 Measuring 14" in diameter, it's perfect for the office, kitchen, TV room, or wherever you need that modern touch. Featuring Quartz movement for true accuracy, it operates on a single "AA" battery (included).